USB flash drives or SD cards are formatted for many reasons. Some users do it to modify their file systems. Usually, formatting on external storage devices in Windows is done by selecting the Format option in the File Explorer context menu. But sometimes users fail to use this technique to format their USB drives. And when they try, they receive the Windows was unable to complete the format error message on their screens. Usually, the users of Windows 7, 8 and 10 Operating System receive this error. How to Resolve Windows was Unable to Complete the Format Error? Below are some quick and easy to apply solutions to remove the Windows was unable to complete the format error message so that you can format any of your external storage devices without any problem. However, different users face this error due to varying reasons so one method which works for one user might not work for the other one because these solutions depend on system user configuration. Choose your way according to your problem for a quick resolution of your issue. Also before formatting your device, keep in mind that formatting will erase and remove all the data present in the device including the ones which might be vital for you. So ensure that whether you have a backup of your data or not. Also, the backup should be up-to-date. You never know but someday, you might need any of this data which you have deleted at the time of formatting and then you would have to use a data recovery tool to get the lost data back. So to avoid unforeseen circumstances, make sure to create a backup right now only. USB drives are created with a write protect switch to lock or unlock them. USBs which are write protected or whose switch is locked cannot be formatted. So, ensure that the write protect switch on your USB storage device is switched in the upward direction to turn off the write protection feature. If you are not able to find the write protect switch in your flash storage device, switch it off using any third- party software to unlock position, in turn, removing the write protection. Finally, check if the Windows was unable to complete the format error message has disappeared or not. Flash Drives are not manufactured or developed with any Anti-virus software so there are chances that they can gather virus or malware in them. This virus or malware can stop the flash drive from working in your PC and it also prevents the drive from formatting. In this situation, running an anti-virus scan will confirm about the presence of any virus in your flash drive or SD card. Some third-party anti-virus programs automatically scan the drives when they are inserted. So use them and remove the problem of Windows was unable to complete the format. If it doesn’t work then try to temporary disable your antivirus program for few minutes. May be, your antivirus is not allowing it to work properly. If the above two methods doesn’t work then you should try to fix the issue using a third-party tool PartitionGuru. 1. At First, run PartitionGuru and check its main interface which will show detailed information about internal and external drives and their partitions. 2. Then click on the problematic USB drive. 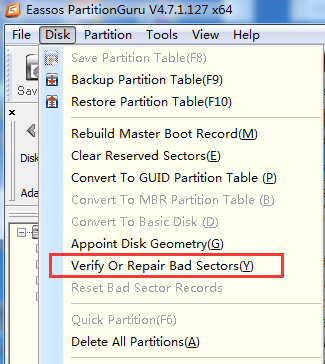 Later, navigate to Disk & choose Verify or Repair Bad Sectors. 3. It will display some conditions with colored blocks like good, bad, severe, damaged, etc. When this checking of bad sector completes, it will show you the number of bad sectors it has found. Afterwards, click on Repair button to repair these bad sectors. 4. Finally, select USB drive and click on Format button to fix the issue of Windows was unable to complete the format error message. 1. 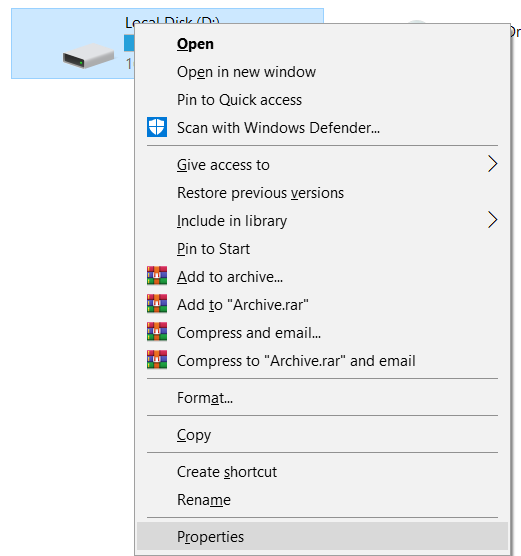 AT First, open File Explorer in your computer. Refer to this guide if you’re facing Windows 10 file explorer won’t open error. 2. Then insert your drive in the USB slot to scan it. 3. Afterwards, click on This PC and right-click on your hard drive that you wish to scan using chkdsk. 4. Later, select Properties from the menu. 5. Afterwards, navigate to Tools tab and click on Check button under Error checking. 6. It will take a few seconds to scan the drive. 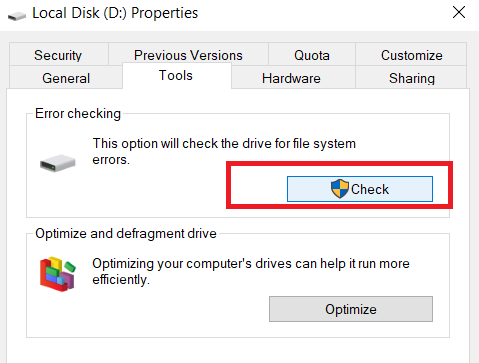 To remove the issue of Windows was unable to complete the format error, Check your flash drive or SD card properly to check if it has been damaged physically. Then try to use it on a different computer and see if it works there. If the drive doesn’t work in the other PC as well, then insert another disc in the same slot to check if there is an issue with the USB slot. This will ensure that whether the problem lies with the USB drive or with the slot. 1. 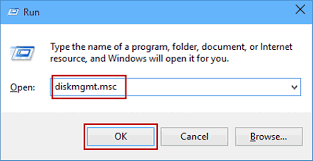 At First, press Windows Key + R together and type “diskmgmt.msc” in the text box to launch Disk Management. 2. 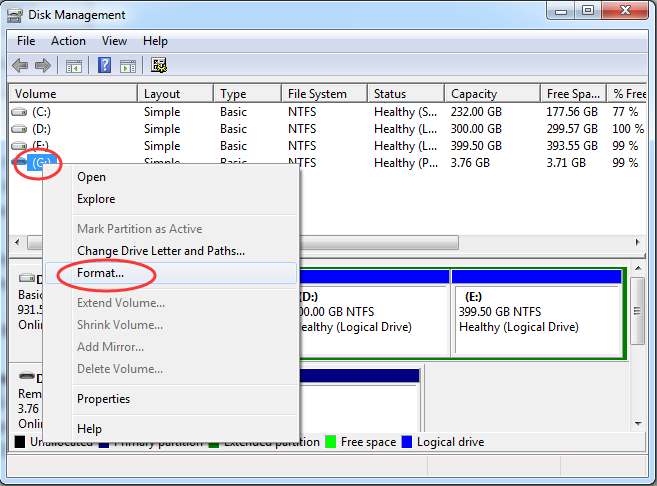 Then right-click on the USB drive in the Disk Management window and choose Format. 3. Afterwards, a dialog box will appear to confirm the process. Click on Yes in it to open the window directly. 4. Now, choose a file system to format the USB storage. Click on OK.
5. 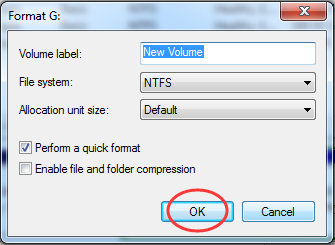 If USB drive shows empty with allocated file space under the Disk Management window, click on New Simple volume from the USB drive’s menu. 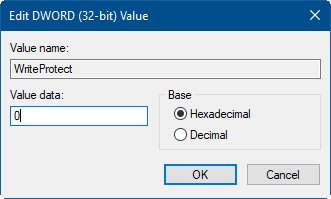 Now format the flash drive with new Simple Volume Wizard. 6. Windows was unable to complete the format issue will be removed. 1. At First, press Windows Key + R simultaneously & type “Diskpart” in the search box. 2. 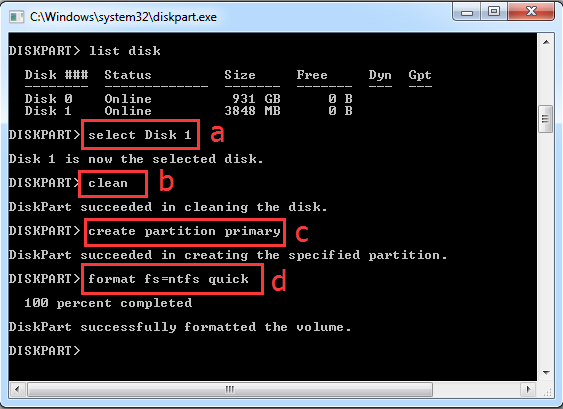 In the Command Prompt, enter the following commands one by one followed by Enter after each. 3. This will resolve your issue for sure. 1. 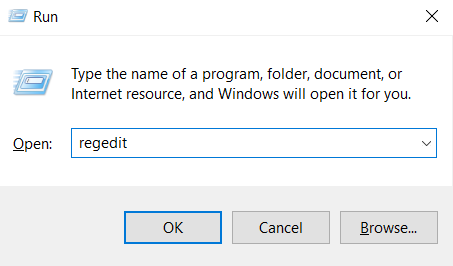 At First, press Windows Key + R together and type “regedit” and press Enter key. 3. Afterwards, find registry key WriteProtect in StorageDevicePolicies. 4. Then double-click on WriteProtect key and change its value from 1 to 0 to disable the Write Protection feature. Click OK.
5. Afterwards, reboot your computer to save the changes. 6. Now check the external storage device that you need to format and check if you have fixed the Windows was unable to complete the format error message. 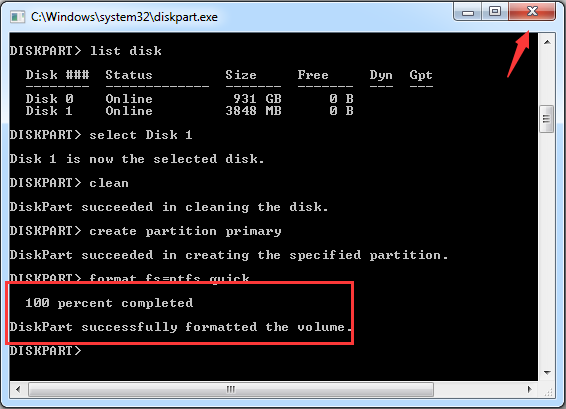 By using the command prompt, you can fix Windows was unable to complete the format error message in your PC. 1. At First, press Windows Key + X on your keyboard at the same time and choose Command Prompt (Admin). 4. Afterwards, choose Yes in it and hit Enter key. 5. This will format your flash drive or SD Card and the Windows was unable to complete the format error message will be removed. 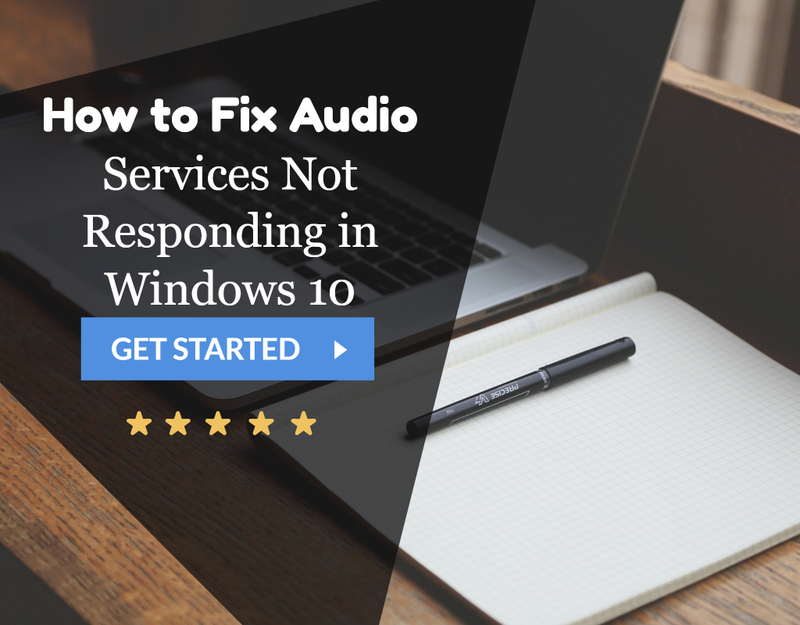 There are several third-party software that can help you to remove the Windows was unable to complete the format error. So if you are not able to format the drive using File Explorer, you can use software like EaseUS Partition Master Free or AOMEI Partition Assistant. Both of them are available for free & you can format your USB flash drive with this by right-clicking on listed storage devices in their window and then chose Format Partition. So these were some of the best solutions to fix a USB flash drive that the Format Removable Tool is not able to format. Remember that formatting the drive will remove all the data stored in the drive so don’t forget to create a backup of the storage device before formatting it so that you can retain the crucial files from it. 2 How to Resolve Windows was Unable to Complete the Format Error?